I’ve always been concerned with keeping my hair in the most tip-top condition, given the unfortunate fact that random men along my family line have been plagued with hair loss issues and that really gives me even more reason to research on the best possible treatments that will keep these problems at bay. During pregnancy, it is somewhat a challenge to prevent severe hair loss due to the hormonal changes. 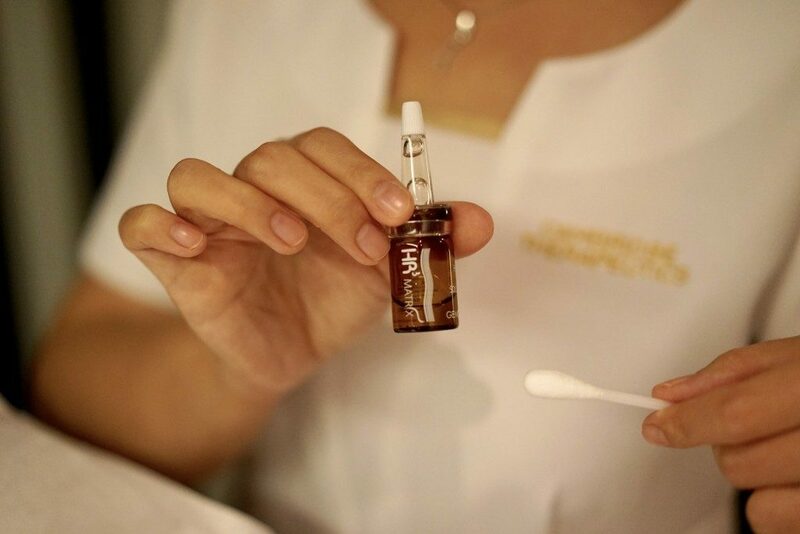 It is eminent to nurse the scalp back to health as soon as possible to regenerate our hair follicles back to normal with the right treatments. Contrary to what most may think that I am one who gets her hair done professionally every day, I actually wash and style my own hair most of the time because I almost always running on a tight schedule and pressed for time. It is almost impossible for me to be able to spend that 1-2 hour at a salon daily given my lifelong habit of washing my hair daily. Therefore, keeping my scalp in a healthy state means that my hair would give me fewer problems and it would be much easier for me to manage it on my own when I don’t have professionals around me. 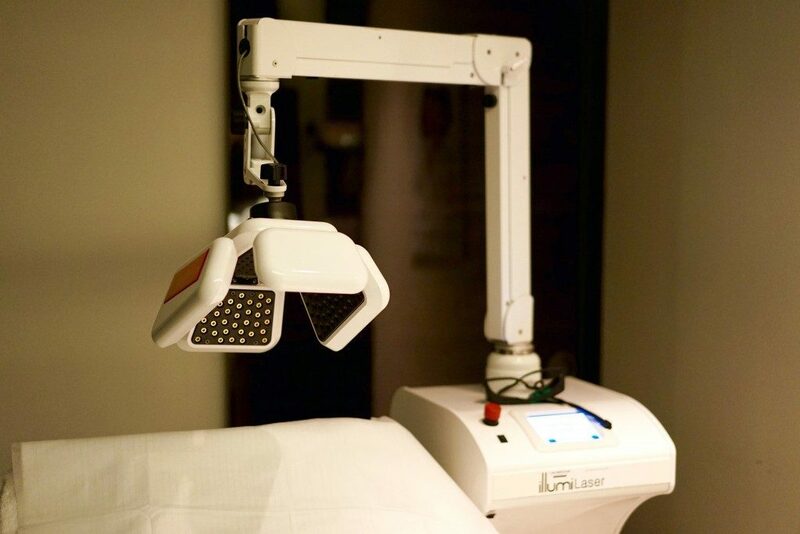 For the past one year, I have been going for regular weekly Genosis hair treatment and recently Cambridge Therapeutics have brought in the illumiLaser machine that I am completely obsessed with. I can have a hair treatment with fully coiffured hair and this treatment would not mess up that blow out! With that perk of being able to relax, rejuvenate yet saves time, I am completely sold. 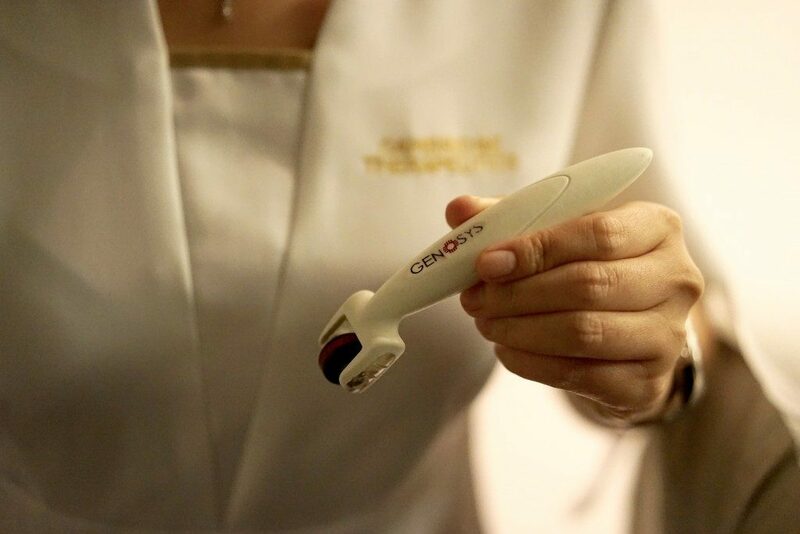 The best part about it is that I can feel the difference after just one treatment! Less hair loss when I wash and comb my hair. That, to me is phenomenal!!! 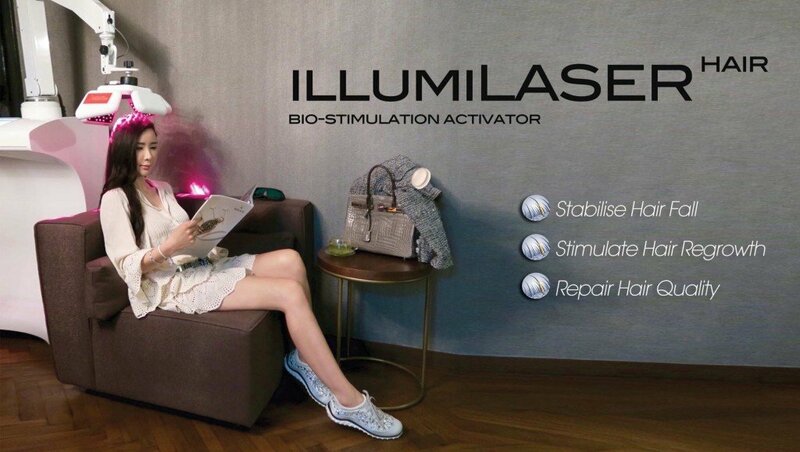 illumiLaser Hair activator uses bio-stimulation to increase transport and cellular production of cells in the inter-membrane space of the scalp. This therapy is clinically proven to increase protein production, intracellular nutrient acquisition and cell proliferation. 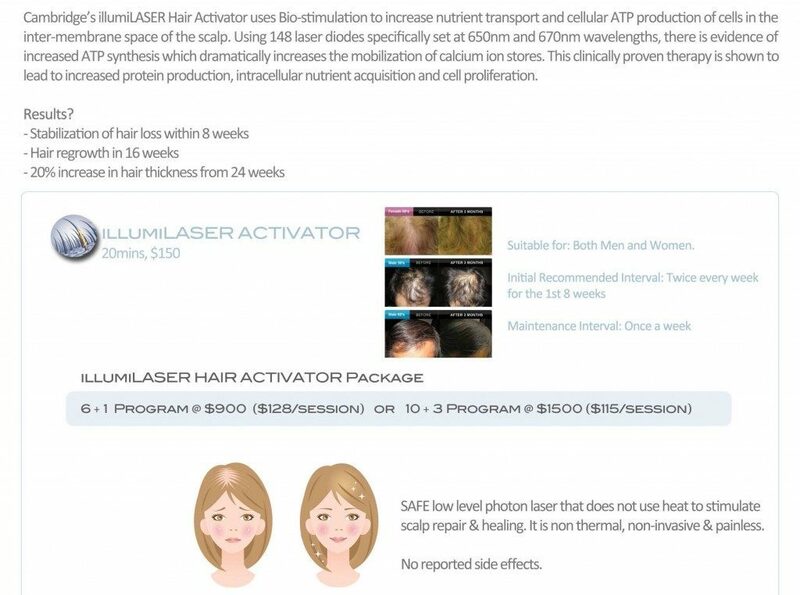 illumiLaser is a non-thermal, non-invasive and painless therapy that stabilises hair loss within 8 weeks of usage and promote hair regrowth in 16 weeks.